An Ethiopian court on Tuesday sentenced five senior opposition figures to pay the ultimate price and 33 other people to life imprisonment for plotting to assassinate government officials. 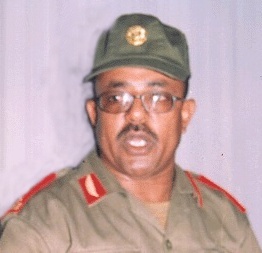 The Ethiopian government claimed in April it had uncovered a plot to kill government officials and sabotage infrastructure by a group called "Ginbot 7" (May 15) allegedly led by the main opposition challenger in the disputed 2005 elections. "The following five have committed grave offences and four of them have not learnt from their previous sentences," Judge Adam Ibrahim of the federal High Court said. "Therefore we have been obliged to give the most severe sentences." Many of the accused were sentenced in absentia, including the alleged mastermind of the plot, US-exiled Berhanu Nega who served two years in prison after accusing Prime Minister Meles Zenawi's regime of stealing the 2005 polls. Twenty-eight of those sentenced were present in the Addis Ababa courtroom, including Melaku Tefera, a senior opposition member who was among those sentenced to death. The Harsher sentences were handed down to the alleged political leaders of the plot while most of the 33 slapped with life in prison are active or retired army officers.